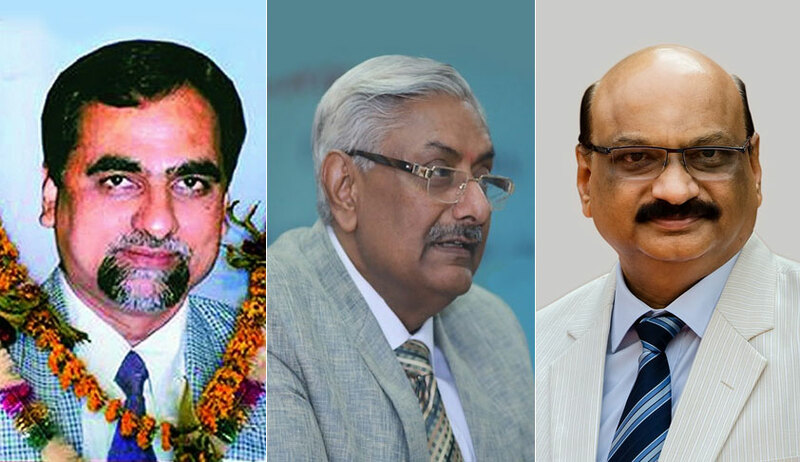 Despite the unprecedented press conference held by four sitting Judges of the Supreme Court and the uproar that followed, there is no change in the composition of the Bench hearing the petitions seeking independent probe in to Judge Loya’s Death. The two judge Bench of Justice Arun Mishra and Justice Mohan M Shantanagoudar will hear the matter tomorrow. The Supreme Court bench of Justice Arun Mishra and Justice Mohan M Shantanagoudar on Friday, while directing the counsel for the State of Maharashtra to obtain instructions in the matter, listed for hearing the pleas seeking an independent probe into the death of CBI special judge BH Loya on Monday. But the matter was not listed before the bench since Justice Shantanagoudar was on leave. Then there was strong speculation that the matter will be listed before another bench because of the protest by four senior judges. It may be recalled here that four sitting Judges of the Supreme Court- Justice J. Chelameswar, Justice Ranjan Gogoi, Justice M.B. Lokur and Justice Kurian Joseph- had held a press conference, asserting that the administration of the Apex Court is "not in order" and that many "things less than desirable" have been happening in the last few months. It was also revealed that they had written a letter to the CJI two months ago, airing their grievances. One of the concerns raised in the letter pertains to assignment of matters. While acknowledging that the CJI is the master of the roster, the letter said that this is "not a recognition of any superior authority, legal or factual of the Chief Justice over his colleagues". It then stated that while there are well-settled conventions guiding the Chief Justice in the task, off late such conventions have not been strictly adhered to. Justice Gogoi had indicated that one of the said cases was the matter relating to Judge Loya’s death. The two writ petitions, seeking independent probe into the mysterious death of CBI special judge Brijgopal Harkishan Loya in 2014, when he was presiding over the Sohrabuddin fake encounter case, were filed by Maharashtra-based journalist Banduraj Sambhaji Lone and Congress leader Tehseen Poonawalla, respectively. In addition to the petitions before the apex court, 2 similar writ petitions are also pending before Bombay High Court, one by the Bombay Lawyers’ Association, and other by one Suryakant Lodge. The hearing on Friday began with senior counsel Dushyant Dave urging, in view of the similar writ petition by the Bombay Lawyers’ Association before the Bombay High Court, “I beg the Supreme Court to not take up this matter. That could have an effect on the matter pending before the Bombay High Court”. “We will not interfere with the particulars of that matter. But we need to hear the present petitions. This is a very serious matter,” said the bench, proceeding to hear the present PILs. The counsel for the present petitioner began to elaborate on the facts and circumstances of the case, “As per the story, Loya had succumbed to death on account of a cardiac arrest. But the post-mortem report reveals otherwise”. At this juncture, the bench asked the counsel for the Government of Maharashtra to procure the said post-mortem report and scheduled the matter for hearing on Monday. “Let us commence the hearing on Monday. If we deem it appropriate, we may decide not to intervene on Tuesday, Wednesday, Thursday or any of the succeeding days,” concluded the bench.